The Prime Minister Narendra Modi on Thursday shared his self-written 10-line poem Ramata Ram Akela on his official Twitter handle. Yesterday, during his address to the Indian diaspora in London, Modi had promised that he will share his poetry on social media soon, which he wasn't able to recite completely. This is not the first time that Narendra Modi has shared his poetry on social media websites, earlier he had publicly expressed his love for poetry in his mother tongue Gujarati. Last month, on World Poetry Day, Modi shared a collection of poetry penned by him. A day after addressing Indian diaspora in Westminster Central Hall, London, Prime Minister Narendra Modi on Thursday posted a 10-line poem in Gujarati on his official Twitter handle @narendramodi. Yesterday, answering a question, Narendra Modi said he writes poems in Gujarati. 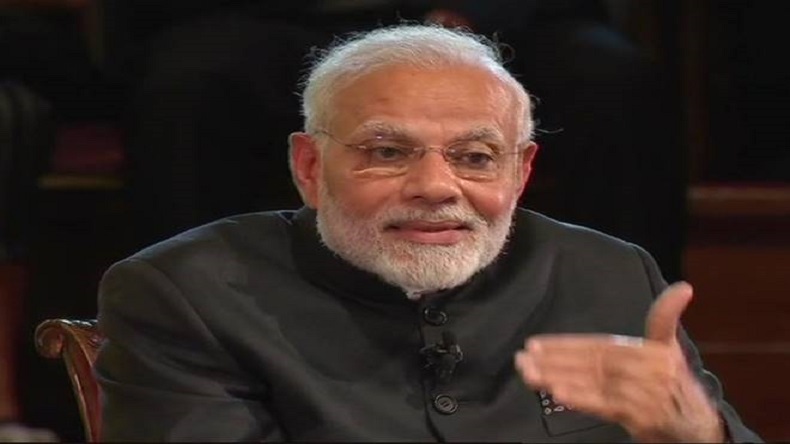 While posting the self-written Gujarati poem on Twitter, PM Modi said, “Here is my poem ‘Ramata Ram Akela’, which I had referred to during the programme in London last evening.” In the London event moderated by lyricist and chairman of Central Board of Film Certification, Prasoon Joshi, Modi shared his personal experiences with the audience. This is not the first time that PM Modi has shared a poem on social media times, earlier he has publicly expressed his love for poems in his mother tongue. Modi is also the author of various books written by him. In the event held at United Kingdom’s London, PM Modi was asked by someone share few couplets of his poetry, but that time he said I can’t remind this time, but I will definetly share on social media soon. In 2014, he wrote a book called ‘A Journey’, in which he shared his inner self and poems written by him. The book was translated by Ravi Mantha. Soon after Modi recited a few poems in the blockbuster event, Prasoon Joshi called him a Kavijraj. Last month on World Poetry Day, he shared the collection of poetry penned by him. PM Modi also likes to write, recently he launched a book for distrestting students, which include methods to cop exam stress. Various e-books and his creative stuff is available on his website and NaMo application.